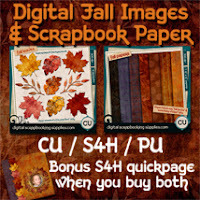 I call this free mini CU/S4H/PU fall scrapbook kit How Do You Like Them Apples? for obvious reasons. 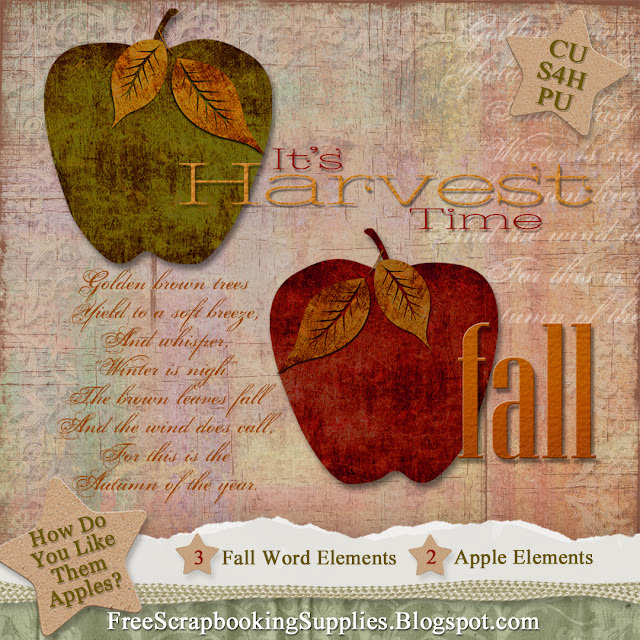 The red and green apple images have a grungy look that matches my fall leaves and scrapbook papers, so these make a great addition for those who have bought or plan to buy those fall kits. There are also three matching word art elements. Matt Damon's character is in a Harvard-area bar, trying to pick up Minnie Driver's character. While there he gets into a fight with several snobby Harvard students who don't think he's good enough. Naturally, though, he gets Driver's phone number, because he's so charming. After leaving the bar, he spots the snobs sitting at a table by the window in a coffee shop. He yells through the window at the main snob, "Hey, do you like apples?" 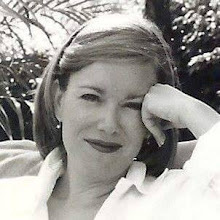 The snob looks confused but says, "Yeah, why?" Damon slams the piece of paper with Driver's phone number against the window and says, "Because I got her number. How do you like them apples?" I don't know if that's funny in print, but it makes me laugh every time I see the movie. any chance you could use box.net in the future? Is there a problem downloading from 4shared? If so, please let me know what it is so I can tell them about it. I may use box.net eventually (or if there's an unresolvable problem with 4shared), but for right now I like having all the download stats in one place. Thanks for sharing the fall images!